For example, will all information be sent to one clearing house or will information be sent electronically to each individual super fund? Confirm the file format the electronic contribution files as required by your chosen Clearing House. Enter information in to all four areas where applicable. Enter the details of who the Clearing House will be. Select the layout for the contribution file. Select the details on what pays should be included in the contribution file (ie based on physical pay date or pay period end). 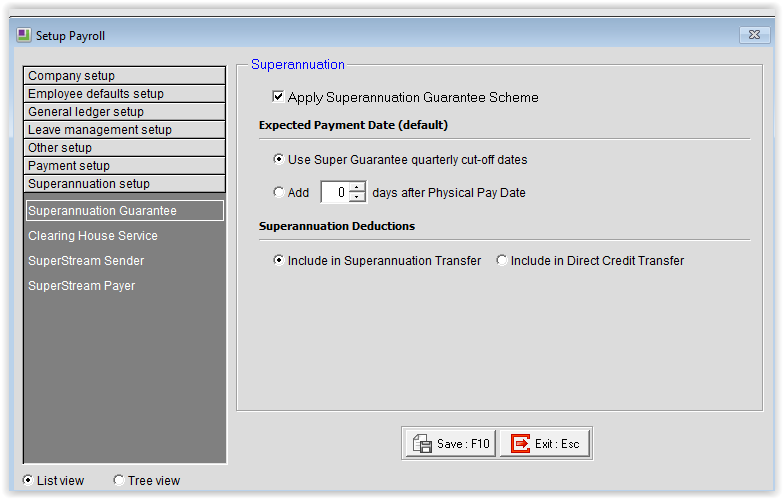 Go to Superannuation Provider Maintenance (Maintenance – Superannuation Providers). 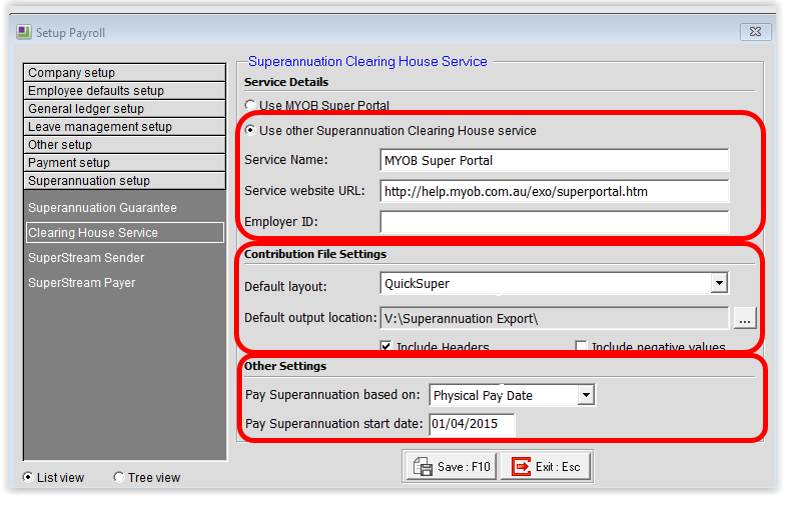 To simplify the entering of this information, Employer Services has a function to look up Super Fund information with the Australian Taxation Office. 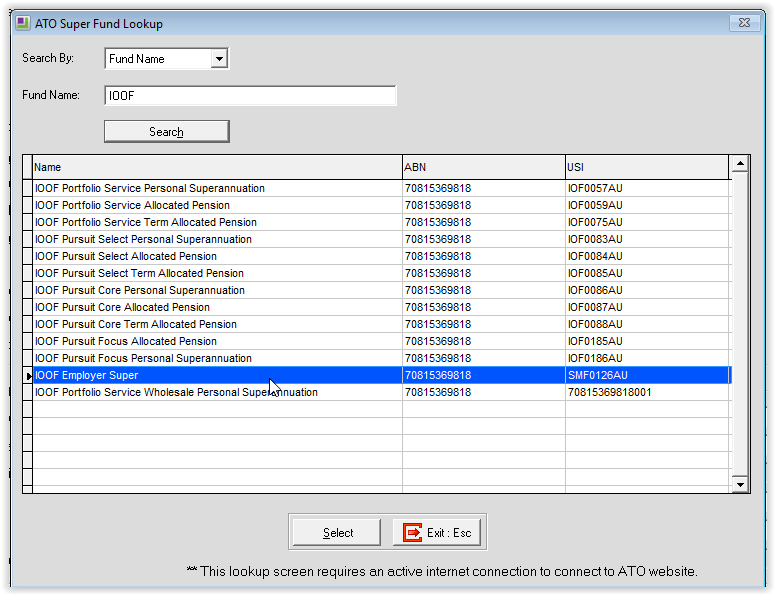 Select the ATO Super Fund Lookup button. Enter the Name of the Super Fund and click Search. Then select the correct Super Fund. 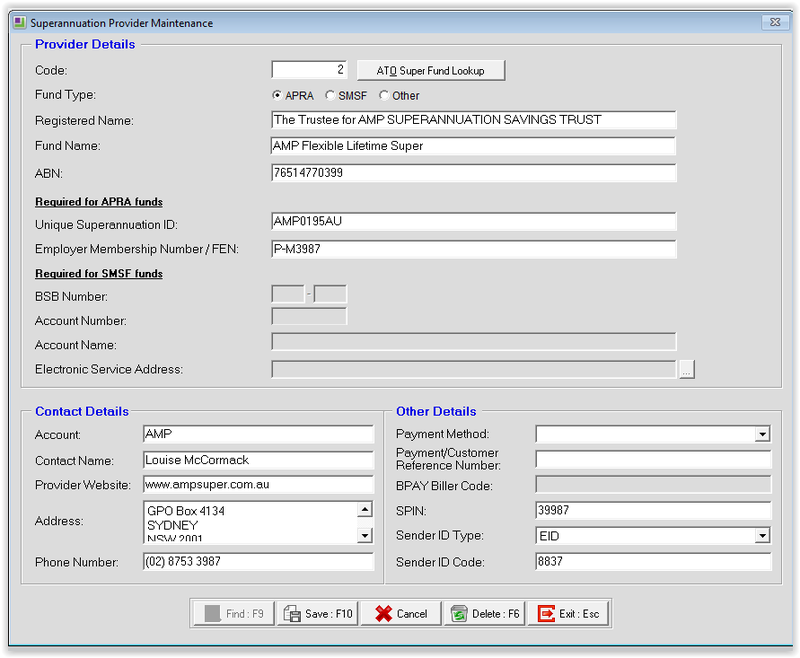 Go to Pay Superannuation (Pay – Pay Superannuation). You will be prompted to Export the Batch. Click Yes. You will be prompted to view the file in the folder. Click Yes and ensure the file is there. You will be prompted to go to the Clearing House’s website to upload the file. Click Yes otherwise you will need to manually go to the website and upload later. Most Clearing Houses require that they direct debit monies from the nominated bank account once they receive the file. If this is not the case then you will need to pay the Clearing House or Super Funds manually.